Whether You’re Eating Out or Staying In, Four Seasons Hotel Cairo at Nile Plaza Has You covered this Ramadan! While social gatherings happen to be one of the best things about Ramadan, preparing for them can be a tedious job, especially the big ones. Cairo’s luxury hotel, Four Seasons Hotel Cairo at Nile Plaza, has it all covered, offering a variety of arrangements and restaurants that will cater to everyone’s taste. The hotel’s very own Egyptian restaurant, Zitouni, brandishes a spectrum of authentic sweet and savoury delights for Iftar, in an open buffet at the price of 610LE* per person. Coming in at the same price is Bella’s Iftar buffet, where the Italian jewel puts on its Egyptian gown and celebrates a buffet of mouth-watering delicacies and genuine selections to break your fast to. 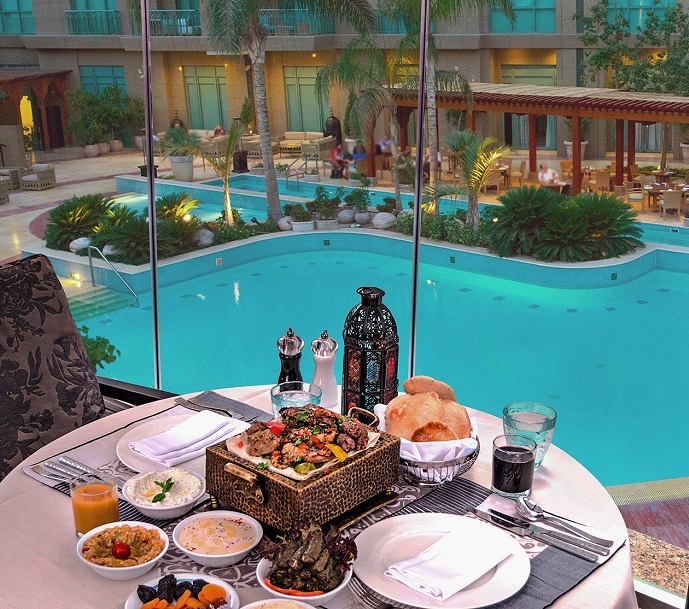 Those who are looking forward to spending Ramadan nights by the pool, Four Seasons at Nile Plaza’s Pool Grill offers delicious set menus for Iftar and Sohour, at 570LE* and 475LE* per person respectively. For an even more chilled out ambience, Upper Deck, serves authentic delicacies on its Iftar and Sohour set menus, for 570LE* and 475LE* per person respectively. All of these offers come at half the price for our lovely little ones, including the scrumptious Oriental Buffet, located at the lobby lounge, where the adult price is 275LE* per person. Spending the night in? Four Seasons Room Service team has worked together to create a masterful Ramadan experience with comprehensive menus for both Iftar and Sohour brought right to your doorstep. 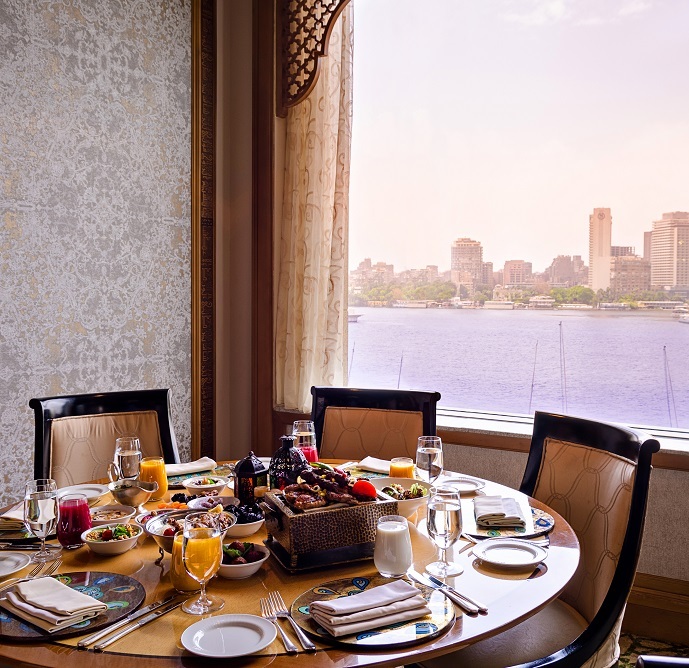 With the expert team that has been creating Cairo’s greatest events for more than 15 years, Four Seasons Hotel Cairo at Nile Plaza creates inspirational Ramadan nights from family intimate gatherings to grand Iftar and Sohour events for 50 up to 2000 guests. The catering team provides bespoke events at the outside private venue of your choice or at one of the renowned function rooms and ballrooms at the hotel throughout the holy month, all paired with the world-class impeccable Four Seasons service. For more information visit http://bit.ly/FSCAI18 and book on 02-2791-7000. *All prices are subject to 12% service charge and applicable taxes.